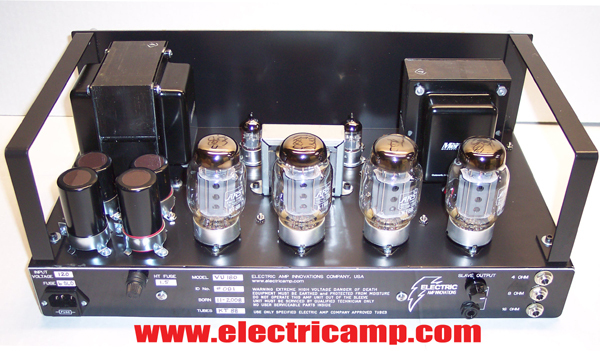 At ELECTRIC AMP, USA the Power Section for the Amp Units is Basic and Straight Forward. 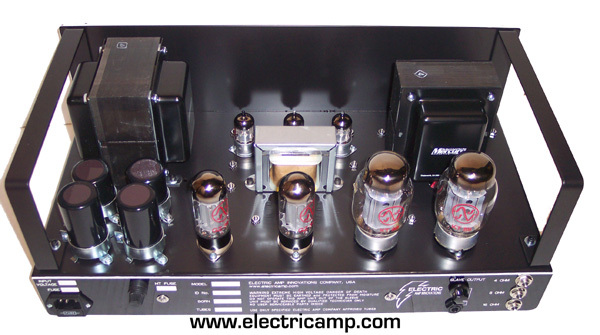 All of our AMP UNITS can be made in the Various ELECTRON TUBE Choices we offer. 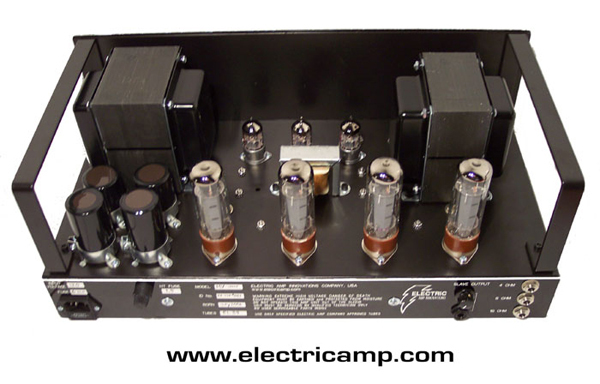 We have sourced and custom designed the perfect set of hand wound transformers for each Amp Unit. 4 - KT88 180watt Amp Unit has alot of headroom and a very nice dark distortion. The distortion has a ripe vintage break up with a shorter sustain giving the classic rock tones. Bottom end is huge, and can be used for guitar or bass. This amp drives 2 to 4 4x12's real nice. Marshall Major. Perfectly wound and custom voltages to keep the tube life long play. 4 - EL34 120watt Amp Unit is "The" EA-USA Unit that delivers face melting guitar tones. from heavy rock and roll. Modern Indy/Underground to the best 1966-76 era of guitar tones. the strings of your instrument and squeeze out drooling feedback overtones. Heavy Metal to Vintage you have your hands full. The Choice Amp Unit. Marshall JTM45, AMPEG V4 & the OR80's, custom made for Electric Amp USA. Driving 65 nominal watts output when cranked. operator that fires tone like a 44 Magnum. 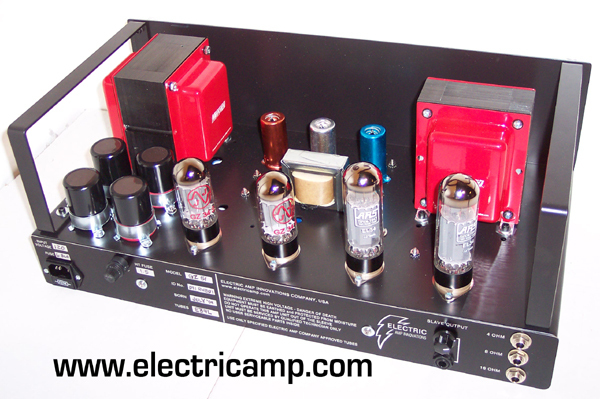 4 - KT88 180watt Amp Unit is the monster clean tone machine for Bass or Guitar. special 4-10/2x15 bass cab. Put a pedal in front of this amp and blaze tones. Chest Pounding, Face Melting, BIG ROUND CLEANS and Natural Distortions. long life and reliability. You won't find them built like this anywhere on Earth. delivers that cool tone found from the British JTM45, Ampeg V4, GT & OR80's. Rare to find one of those units, so we took it one step further with Dual Rectifiers. This unit is available with Tremolo that pegs the spooky essence of tremolo vibes. of the early 70's design. An excellent choice for all types of guitar playing. this unit will serve tone for a lifetime. to be used with an instrument straight into the panel OR with effects pedals. of these amps for bass players that love the HUGE warm tone. is almost 20% higher than the 4 KT88 versions of the Volume Unit and Master Volume. the most basic front panel EQ. versatility from instruments, hi-fi, and other pro audio applications. Communication capability. GZ Rectified for great audio and true Military Grade/JAN SPEC. NOTE: Upon Request 6550 or KT100's Electron Tubes are available in our high watt units. 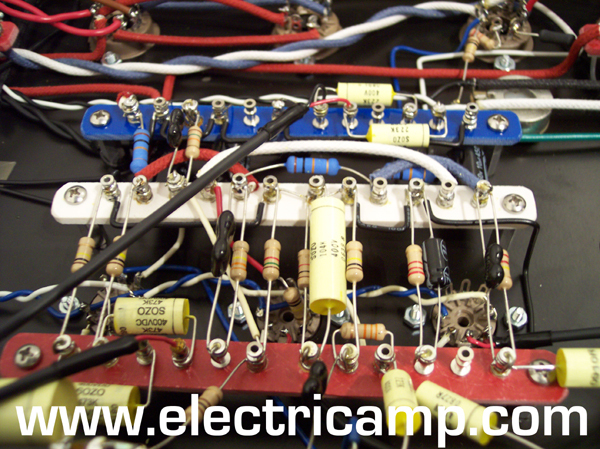 All Electric Amp USA Units are Hardwire & Point to Point.